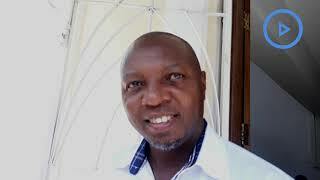 The alumni of Kakamega School led by the vice-chairman William Ojonyo stepped in and raised money to pay his fees. Mayar thanked the alumni for heeding to the appeal by his mother to come to his aid so that he could finally report to school. Mr Ojonyo said the alumni are planning to set up a fund to support other bright students from poor families. It was joy for a 16-year-old boy from Kachonjo slums in Mombasa County after former students of Kakamega School paid his fees for a full year to enable him join Form One. Joel Mayar, a former pupil of Spaki Primary School who scored 408 marks in last year’s Kenya Certificate of Primary Education (KCPE) examination had failed to report to his school of choice in Kakamega County due to lack of fees. But after his plight was highlighted by NTV, the alumni of Kakamega School led by the vice-chairman William Ojonyo stepped in and raised money to pay his fees. “We were touched by his plight. He is a bright boy who was staring at the prospect of missing out his Form One slot due to lack of fees. As the alumni of the Kakamega School we came together and raised money to pay for his fees for the whole year and shop for his basic requirements,” said Mr Ojonyo. Mayar reported to the school on Monday accompanied by his father Jacob Mustafa and his mother Jane Maria and was received by the principal, Mr Gerald Orina. He thanked the alumni for heeding to the appeal by his mother to come to his aid so that he could finally report to school. “I’m so happy with the alumni of Kakamega School who have put a smile on my face. I want to promise them that I will work hard and focus on my studies to achieve my dreams. I would like to become a ship captain after completing my studies,” said Mayar. His father said he had received additional support from a church which has paid fees for another full year for his son. “We have raised him in a Christian way and despite the challenges and difficulties he has gone through, he is a disciplined and focused boy who has great dreams in life,” said Mr Mustafa. Mr Ojonyo said the alumni are planning to set up a fund to support other bright students from poor families to realise their dreams. “We have decided to come together and support bright children from poor families so that they can in turn leave a positive impact in society when they complete their studies,” said Mr Ojonyo.